With the holidays upon us, we thought we would share Cathy’s flavorful and colorful side dish ideas. These side dishes will bring bright color to your holiday table and offer your guests something healthy this season. Adding the side dishes into a cup is pure genius! 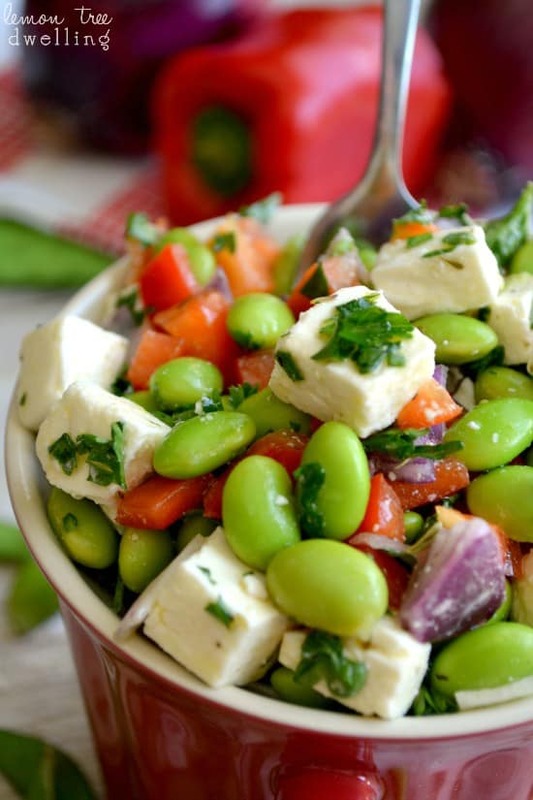 The first recipe combines edamame, feta cheese, and fresh veggies into a deliciously flavorful, protein-packed Edamame Feta Salad. Why not think outside of the box and surprise your guests or family with a colorful and healthy side dish this holiday season? Salads in a cup make a great Holiday Side Dish. To get full preparation instructions, visit the original recipe at Lemon Tree Dwelling. 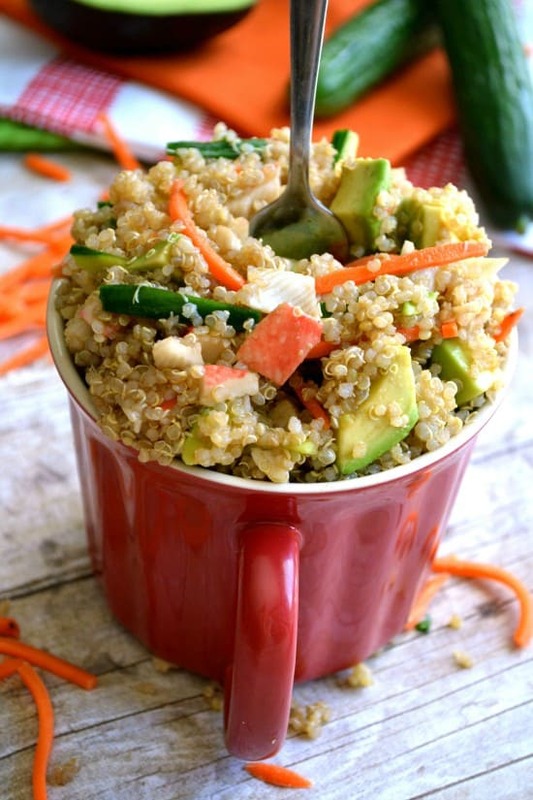 For Cathy’s second recipe she combines the flavors from her favorite meal, Sushi and turns it into a California Roll Quinoa Salad! To get full preparation and cooking instructions, visit the original recipe at Lemon Tree Dwelling. These healthy side dishes are sure to be added to your list of favorites and we’re sure your party guests will request this healthy option again and again. If you love these delicious side dishes, be sure to find more like them in our Recipe Index section. For daily recipe ideas, like us on Facebook and follow along on Twitter. You’ll want to visit our Pinterest boards as well if you’d like to get truly inspired before your next get together. Enjoy!